Arundati Dandapani, graduated international student in the UK, shares her experience of seeking permanent employment in the UK.. The end of a worker-friendly era: backed by a simple liberal arts degree from America and with four years of working at writing and editing jobs in India, I applied for a Masters in the UK, fully intending to work there after studies. At the time of application, I was entitled to two years of Post Study work, as well as qualify for Fresh Talent Scotland, but then an angry bout of youth riots wrecked the streets causing panic in the British parliament and in homes. Quickly in April 2012, the Post Study work permit that earlier allowed non-EEA students to stay on for two years on the condition of a job offer (from any company) was repealed, leaving me with a small fistful of potential employers or publishers to approach. These were what I memorised to be 1500 pages of licensed sponsors as approved by the UKBA. Education is a purely commercial enterprise: and one has to demand value for it. Professors will limit availability, answer emails rarely, and restrict office hours. They will wax and wane about being more academic than insightful, and, you have to customise your degree to suit your own good priorities: be it a job offer, professional networks, grades, or leisure holidays. I focussed on a job priority, and failed, although I did gain a few good professional experiences in the bargain. People won’t mix with you: It is a close-knit society, but if you find a group of like-minded or other professionals with whom you can share simple working hours with, CLING until it blossoms into something. A year is not enough to make friends in Great Britain, but at least some good working relationships are a goldmine. The Job market is suspicious of you: I had to apply to 105 places to actually get called in to 10 interviews. They all declared my CV impressive and predicted I’d “go far.” How much farther! I would protest. By the time my dream job opening came up in the middle of December, I had already booked my tickets back to India, as I neared the expiry date on my visa. Internships are contentious: You don’t have a national insurance number and nobody asks for it at your internship, they may not even look at your passport. Employers are not paying you a minimum wage, and yet the more interning you do, the better you get a chance at actual employment. Six internships got me a fixed term employment as an ebooks assistant. Cold Calls to Every Employer on the Register of Sponsors! On tele-calling every publisher featured on the UKBA’s register of sponsors, some claimed unaware of their UKBA status, and when I explained, they said upfront that they had no “quota” left, and would not consider my application if I did not have an existing work permit. I replied that although I had a student visa that allowed me to work fulltime until January, I could only apply for a proper work visa after I had a job offer in hand, so couldn’t I still apply? The response was negative. Nobody wants you: Graduation drew near, and classmates who barely talked to me opened their mouths only to ask me, “When are you going home? !” When the annual London Book Fair happened, I knew London was it. People were actually interested in my skills, ideas and were actually having conversations about publishing. Internships took shape, and I narrowed the longer term prospects, focussing my job search to publishing alone (although I did approach a bakery and some advertising agencies who were licensed sponsors), because only a handful of international publishers were eligible to sponsor a tier 2 non-EEA migrant. Talk to Everybody: I applied to 105 places, got called to 10. Interviewers called me interesting, adventurous and a lot of other adjectives that I quickly realised were not helping my case. They were perhaps referring to the geographic diversity I was used to. After learning the lingo of career centres and speaking with recruitment consultants and insiders from the industry at publishing events, I took a few more hints. Failure makes you stronger: Only about three publishers were actually explicit about an open and willing policy to hire, but by the time I qualified for any eligible positions within these companies and by the time their vacancies opened, it was the middle of December. After having completed over six internships alongside my degree studies and a fixed term employment within a hot market function of publishing, I had lost eventually. Office Gossip (not love) makes the world go round: Towards the rundown to Christmas and near the end of my fixed term at a publishing house, colleagues took turns commenting, “What a pity they did not renew your contract.” They knew I was on a fixed term contract, my nationality was different, my length of stay would be limited to the duration of tasks, and so, short term, etc..
Three weeks into my job, another candidate was taken on to fill the same duties towards what immediately struck me as eventual permanence at a lower salary than if they had decided to sponsor me. Colleagues delighted in this set-up for rivalry. By the end of my tenure I was itching to depart, the daily six-hour round trip commute only got longer as we nudged sub-zero temperatures, and constant delays caused by flooding and regular suicides on the railway tracks. The only things that got me through those months were my persistence and positivity. Is Britain unprepared for a diverse workforce? Britain is a tiny country that cannot sustain its own recession, but Norway is not bigger than Britain, and yet offers more diversity in the workplace and by about 2050 about half its population will be taxpaying migrants/immigrants. If UK businesses do not take initiative to look outwards, the government will not make it its business. UK’s businesses are built around individuals whose mindsets and openness towards skilled migrants will only determine how dynamic or multicultural the UK workplace actually is. Increase the extent of student visas issued to migrant labour, to offer time for job search (My American fellow students enjoyed a longer term visa than myself). Allow non-EEA students who have graduated from the UK to apply for a tier 2 visa even after they return to their home country without complications. Let there be some incentive to studying in the UK. When skilled foreign graduates from UK universities are not viewed with the same professional parity as Europeans or migrants from other privileged economies in the Great British workplace, it signals both mistrust and xenophobia. In a world where everyone is looking for collaborations and looking outwards, it is a pity that the UK is not encouraging of foreign workers and ensuring a dynamic or diverse workplace. “Teaching abroad is not a new idea or career option, but with the growing demand for western teachers in developing countries, combined with a difficult job market in western economies, it is easy to understand why so many qualified teachers are now seeking teaching jobs abroad. This trend is due to continue with the growing developments of international schools and education campuses in the Middle East, as well as ongoing investment in language centres and international schools throughout East Asia. Inexperienced university graduates still have the option to travel the world and teach English – mainly in South Korea, parts of South East Asia and central America – but the international market for qualified, experienced school-teachers now makes it possible for those qualified teachers to earn a good salary and live a great quality of life in a foreign country. It’s not just private organisations that are trying to tap into the education boom in developing countries. Governments from Saudi Arabia to Singapore understand the importance of educating their young populations for the changing future economies. The investment in education in these countries is resulting in new schools being built, new curriculums being implemented, and new teachers being hired. In addition to government investment in education, the increase in the global mobility of international companies and their workforces is also resulting in new schools and higher student numbers enrolled in already established schools. A quick glance at the increase in numbers of schools in China and other parts of East Asia in the past 10 years pays testament to this boom in education. The goal of TeacherPort is to make it easy for teachers and new graduates to find out about these international opportunities. We feel that teachers should be able to understand what opportunities are available to them outside of their home country, and especially in the current teaching job market. Whether you want to teach primary school in the UAE or teach English in South Korea, we hope TeacherPort will have the right teaching job for you. What is the role of the teacher as leader in this complex international environment? “In a globalised world and with the rapid expansion of information technology, schools across the globe need to ensure that they are developing the right skills in students that will equip them to be happy and fulfilled, but also ready for a competitive international environment fraught with challenges and uncertainty. Business as usual in the classroom will not lead to the adaptability, innovation, resilience, critical thinking (especially discernment and information analysis) and creativity that researchers, philosophers and organisations are showing us are more and more needed in an interconnected world. While many argue that it is the entire schooling system that is at fault or that we need to re-design curriculum, I believe that the real question is not in the structure or the content of education (although these factors are still important) but in the teaching and learning. If we look back, the expression of leadership reminds us of the Chinese Philosopher Lao Tzu’s belief that a good leader is someone who does not take centre stage. As such the teacher is not a “sage on the stage” but a “facilitator”, someone who stands in the wings and gives the student as much freedom as possible. In pedagogy this model is still very popular with Discovery Learning programmes across the United States, world-wide web-based learning projects that allow the student to take full ownership of the learning process and many inquiry-based Primary School educational programmes. The word “facilitator” is used more and more and the word “teacher” less and less. Whilst educational philosophy might correspond with our beliefs and tastes, it is not scientifically researched and does not necessarily benefit from any hard evidence to back it up. Does the research in education tell us that the best model of learning is one where the teacher is a facilitator and the student is at the centre? Arguably the most comprehensive study of pedagogical practice in schools is John Hattie’s 2009 publication Visible Learning: A Synthesis of Over 800 Meta-Analyses Relating to Achievement. Hattie’s work synthesises thousands of studies and looks at effect size (a calculation of the benefits using statistical data) of a large palette of strategies for learning. The findings are not always what one would expect and make us step back and re-think the way we do things. The greatest effect sizes, indicating the greatest change after the use of a chosen strategy, do not come with the student at the centre and the teacher facilitating on the side, but on the contrary with what Hattie calls “active” teaching: the teacher drives the learning, makes learning objectives very clear and uses punchy techniques such as remediation (catch-up), mastery learning (the idea that a student should not move on to new material until the previous parts have been mastered), direct instruction (explicit sign-posting of learning objectives) and setting the students challenging goals. So the research is telling us that the teacher as leader needs to be in control of the class and showing the way with a challenging, carefully structured pace, not letting students fall behind as they try to figure it out for themselves. Hattie’s synthesis shows that quality feedback is the single greatest creator of improvement. The teacher needs to sit down with the student and explain exactly what needs to be done in order to improve. It seems obvious but how often is the teacher so hard pressed to get through a pile of marking or finish a syllabus that this vital coaching technique falls by the way-side? If we want our students to improve then we have to make sure they have understood and internalised how this can be done. Our students are entering a turbulent, chaotic era in a competitive globalised world and we need to provide them with a reliable compass to navigate the storms. As teachers, let’s use the benefits of research to make sure that we have empowered them to do so by teaching for learning and not being afraid to lead the way. After all, the Greek word Pedagogy means “to lead the child”. Dr Conrad Hughes is Director of Education at the International School of Geneva and recently delivered a speech on the ‘Teacher as a leader’ at the annual Cambridge Teachers Conference, run by Cambridge International Examinations. Rousseau, J.J. (1762). Emile ou de l’Education. Paris: Garnier. In its recent report, “Not All International Students Are the Same: Understanding Segments, Mapping Behavior” (“the WES Report”), World Education Services (WES) proposes a model for segmenting international applicant pools based on a student’s financial resources and levels of academic preparedness. The WES Report [covered here on The PIE News] is based on survey data taken from 1,600 international students during their application for credential evaluation, one of the services offered by WES. Although 2,500 students started the survey, 36% “dropped out when asked about their experience with agents,” resulting in the 1,600 results used for the report. The previous two sentences hint at three common statistical biases briefly acknowledged by WES in the section “Data Limitations.” These biases make most of the claims in the report statistically invalid. The first limitation is sampling bias. Ideally, we would like to use reports such as the WES Report to guide substantive policy decisions. To do so, the means of gathering data must conform to the basic statistical requirement of random sampling. If we perform random sampling, the data we collect should be representative of the population we want to study, and should not over-represent, under-represent, or distort the “real” population in question. WES does not randomly draw from the population of international students; it draws from its own clients. With the data collected, we cannot answer questions about prospective international applicants in general but only answer questions about prospective international applicants who also use WES services. We cannot make reliable statistical inferences about the overall population of international students based on this data. Another data limitation is self selection bias, where some respondents are more likely to take the survey than others. Since the survey was conducted in English, only students with a working knowledge of English could have taken it. Hence, the group that volunteered for the survey is not representative of all potential students. Students with low English proficiency may have been excluded from the analysis because they could not complete the survey on language grounds. Incidentally, these students would need the most help to navigate the complicated process for applying to a U.S. university, and are most likely to utilize agent services. The only way for missing data to not be an issue is if only one-sixth of the 900 that dropped had used an agent. However, it is possible that anywhere from 0 to 900 used agents. Of the 2,500 original respondents, from 10% to 46% could have used agents. This, coupled with the possible omission of weak English speakers from the survey (self-selection bias), casts serious doubt on WES’ claim that agents are sparingly used by international students. Having addressed the statistical issues in the WES Report, we turn to the claim that 62% of agent users “are not fully prepared to tackle the academic challenges of an (sic) U.S. education.” This claim is only valid under random sampling. Without random sampling, we cannot conclude that there are proportionately more academically prepared students among non-agent users than among agent users. Missing data compounds this problem, because of the 900 students who did not answer the survey there may have been a large proportion of highly-qualified agent users. Considering the many problems posed by statistical biases, we should discard this claim. Finally, we should be cautious of any study that discusses academic preparedness from an a priori perspective. Whether a student is academically prepared to tackle the academic challenges of a U.S. education may be more a function of the admissions/academic standards of universities and less a function of the academic quality of students. What is a good student for some universities may not be a good student for others. Given that U.S. HEI’s form a wide spectrum of institutions from community colleges to big research centers, students may find a place at U.S. HEI’s with huge variations in academic preparedness. WES presents an interesting strategy for international market analysis. However, given the statistical deficiencies with the survey, the conclusions drawn are of limited value for purposes of policy making in the area of international recruitment. Aleksandar Popovski (popovski@binghamton.edu) is Assistant Dean of Admissions and Recruitment for the Graduate School at Binghamton University. Anthony O’Donnell (anthony.odonnell@binghamton.edu) is a graduate assistant and data analyst at Binghamton University. In 2004, while pursuing a degree in Texas, I took advantage of my school’s helpful and well-run study abroad office to take the chance to go to England. I applied to the University of East Anglia, and was not only accepted but given a small scholarship, a stipend of 500 pounds, which made it much more possible for me to take this leap, and also set a positive tone that made me feel exceptionally welcome. To subsidize all the travel, I decided to pursue summer employment in London before my fall semester began. I enrolled in an exchange program called BUNAC that sets American students up with British work visas (and vice-versa). For the first couple of weeks, my employment situation was grim. My friend and roommate who had gone ahead of me “found a great deal on rent,” subletting from a Chinese grad student living in what turned out to be the garage of a council flat, though we didn’t know it until we took down a poster, revealing one wall to be a pair of outward-opening garage doors. No wonder it was so drafty. Meanwhile, we were working for a rather shady catering company that hired other transient workers from around the globe – terrible work, but we made some good friends. Still, I wanted more. Being a writing major, I found the name of a publisher in the BUNAC directory that had offered internships before, got interviewed, got the job (due to my knowledge of Latin – probably the first hire on that basis since the Middle Ages) and set to work finding out-of-print titles for their new classics line. Once fall came around, I packed up my bags again and took the train to Norwich. I studied creative writing there – UEA is a hallowed place for that subject in the UK, with alumni like Ian McEwan and Kazuo Ishiguro, and I eagerly soaked up the atmosphere of artistic seriousness, along with many a Snakebite. Which is not to say I didn’t work hard academically during that semester; my grades were transferred back as pass/fail, but I got the equivalent of all As, meaning I probably took classes more seriously than necessary, if anything. My papers were extremely well-received by tutors and professors, and I came away with the impression that humanities education in the UK was both less demanding and more enriching than in the US – much more emphasis on simply taking your own time to read and write. If I could do it over again I’d spend slightly less at the pub, and travel more within the British Isles rather than blowing my scholarship money on Ryanair jaunts to the continent, but I have no real regrets. The highlight of my whole experience was probably cooking a turkey dinner to introduce my British associates to the glories of an American Thanksgiving. Which goes to show: the benefits of international study even extend to those who stay home, and meet weird people like me from faraway lands. Integrating with the people of a host country can be hard, even if, as in the case of my transatlantic adventure, you’re “divided by a common language.” I won’t lie: I was often homesick. The recent Open Doors report from the Institute of International Education shows the health and vibrancy of study abroad programs, but surveys have shown problems with integration that reinforce the importance of building these bonds. So for those of you engaged in this field: be active in encouraging social assimilation, and don’t let any of us fall through the cracks! I want everyone to have as great an experience as I did. An experienced writer on all things related to higher education and business, Amanda Watson spends her days covering the latest stories on various topics such as online mba rankings, web entrepreneurship, and social media marketing. You can contact Amanda at watsonamanda.48@gmail.com. “Studying abroad was an opportunity that opened my eyes to the world around me. I had travelled around Europe before, but staying put and studying at a school like John Cabot in Rome not only allowed me to connect to the culture on a deeper level than ever before, but I really grow as a person from it. My time at John Cabot allowed me to pursue my own individual interests and passions while rounding out my education as a whole. Spending a semester overseas forces a student to become an independent young adult; one that is responsible for budgeting, communicating with people who speak foreign languages and continue to develop themselves as an engaged citizen of the world. As this world we live in continues to shrink, study away experiences become ever-increasingly important, with lasting value not only to the students themselves, but also the international community in which we all live. My semester in Rome was a time I’ll never forget, and it provided an opportunity for me to pursue my passions in international travel and which I have now transformed into my career path. This wonderful opportunity simply wouldn’t have been possible without my time abroad at JCU. Not having majored in business, launching Weekend Student Adventures has been a crash course in entrepreneurship and I’ve encountered endless hurdles along the way. But for the readers of this article interested in pursuing their own international passions, I have to say it’s been entirely worth every challenge, setback and frustration. Andy Steves graduated from Notre Dame in May, 2010 and has since capitalized on his semester abroad in Rome (Spring ’08) to start a student tour business in Europe, Weekend Student Adventures. Andy combined the experience of studying abroad and a lifetime of traveling with his father, Rick Steves to make WSA the leading student tour provider in Europe. Now hundreds of American students abroad in Europe enjoy his exciting trips each semester. How can your students help you to enrol more students? So, who is the best person to talk about your school? Your students are best equipped to talk about it, as they have a fresh look that you have lost and are at the heart of your activity. They see, feel and take into account certain things that you no longer register about your culture, your country, your city, your neighbourhood, your school, its reputation, your staff, the content of the classes you provide, your equipment, the size of the classrooms, the number of students, your host families, your prices, the accommodation you provide, your activities, the atmosphere in your school, etc. Your students express themselves in their own words and are more likely to be listened to by other students. They can use Facebook and Twitter better than anyone. During their stay, thanks to these social networks, they often create a bridge between your school and their friends and family back in their country. Once they have returned home, they are the best ambassadors for your school as they have a large network of friends to which they can recommend you. In fact, they are often so happy and proud to have had the opportunity to experience their first stay in a foreign country that they want to tell everyone about it and encourage others to do the same. People want to learn from people like them when they make purchasing decisions. 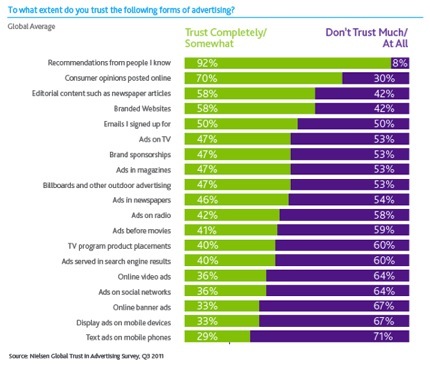 – 92% of consumers around the world say they trust recommendations from friends and family above all other forms of advertising. – Online consumer reviews are the second most trusted source of brand information and messaging, with 70% of global consumers surveyed. Your students are talking – don’t just listen. Encourage them to talk about and recommend your school by sharing their experience with others. When they refer a friend, give them and their friend a discount. Encourage them to blog about their experience during their stay at your school. Ask them to “Like”, “Share” and “Tweet” your school on Facebook, Google + and Twitter. Organize amazing activities and take great pictures of them that will then be published on Facebook and seen by all their friends. Invite them to review your school on popular rating websites. These reviews will be read by prospective students looking to study abroad. What if they have a negative experience? 99% of students are satisfied with their language study abroad, so don’t worry (unless you are running the worst language centre in the world!). The reason for this high satisfaction level is that, unlike hotels and restaurant, students tend to spend a fair amount of time in your schools and therefore, if there are any issues, you will usually be able to detect and fix them during their stay. This fear of negative feedback is one of the biggest factors causing some schools to hesitate to embrace customer-generated content. But the truth is that “bad” reviews are really just opportunities to improve your offer and build trust in your company. The most obvious positive potential in negative reviews is the opportunity for your school to improve its services. Student feedback helps language centres discover weaknesses in their offer and act on them to deliver a better experience. The mere presence of negative feedback on the web shows the transparency of your brand. Students see that your online community hasn’t been whitewashed with rose-tinted marketing speak. Today, advertising and marketing are so omnipresent that they become more invisible. In the end, people tend to ignore advertising because they prefer to hear about the experiences of people like them through social media. Good marketing should encourage the right sort of conversations and word of mouth should be the starting point for your enrolment strategy. 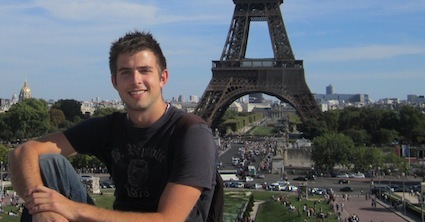 Maxime Braire is the founder of www.my-language-travel.com and the director of the Webmarketing Agency SKA.